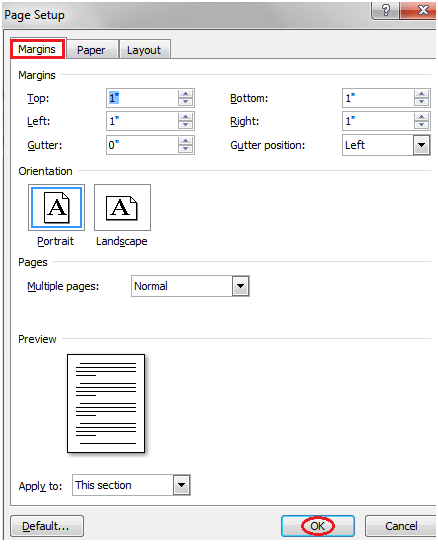 To customize Margins select 'Custom Margins'. It displays a 'Page Setup' dialog box. Enter the desired margin size and click Ok.